Page last updated on: Friday, 16 November, 2018. A note about some of those from Gatehouse who returned after the war and of the careers they followed. 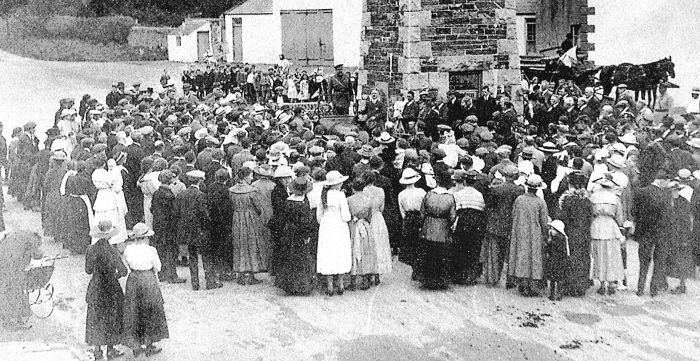 Gathering at Gatehouse Town Clock on Armistice Day, 1918. 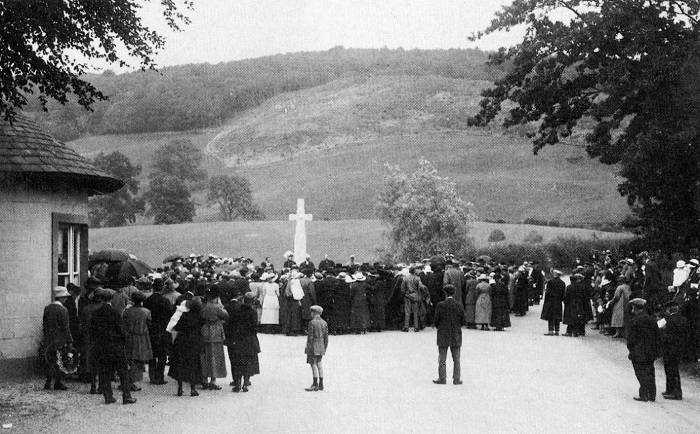 The Girthon & Anwoth War Memorial in Gatehouse was erected in 1921. Research that we previously carried out relating to soldiers from Gatehouse and district who went to war benefitted from the availability of census records and newspaper reports as well as The Stewartry Roll of Honour, army records and memorials to those who died. In compiling information about those who survived, the only real sources of information are newspapers and family stories. Hence this document is a collection of such sparse pieces of information, for some of which we cannot provide firm evidence. This booklet is therefore produced on a best endeavours basis and in no way is a full account of all those who survived. When we remember the First World War we often think of war memorials, the soldiers who died and the devastation caused to their families. 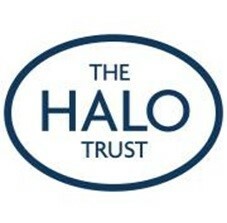 Horrific things happened in the trenches and we cannot begin to comprehend the lasting effects that such experiences would have on those who survived the war. Many ex-servicemen who came home refused to talk of their experiences, bottling them up in an attempt to shut them out of their lives altogether. There are few stories about these soldiers because they never shared their feelings – we only know about those who managed to settle back into what might be called a normal life. The armistice agreement meant that wartime hostilities were to all intents ended at 11a.m. on the 11th day of the 11th month in 1918. 2018 marks the 100th anniversary. For many, important work still needed to be carried out after the war, such that some did not get back home until into the 1920s. Allied prisoners of war had to be located, released, have wounds treated and then de-briefed before being allowed home. Enemy PoWs had to be maintained in camps until they could be released. from Gatehouse, was employed on important mine-sweeping duties for some time after the end of the war. Prior to the war he had been a law clerk employed by the Glover family as well as being the Registrar of Births, Marriages & Deaths for Girthon. His wife Agnes fulfilled the latter role during the war. On his return Robert worked as a clerk at the Cally Estate Office. Around 1925, he and his family moved to Kirkcudbright where he was employed in a similar roll for the St Mary's Isle Estate. He later moved into antiques and undertaking (Osborne’s), a business which is still run by his descendants. 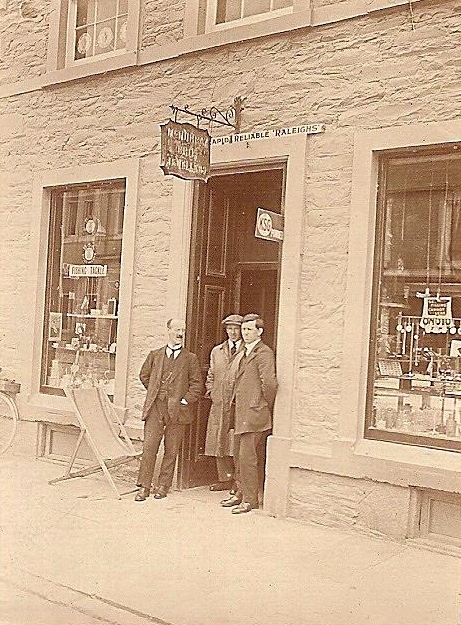 Trooper Tam Tait came home to continue in the family painting and decorating business which continued at 24/26 High Street (old Galloway Lodge shop) until the 1970s. 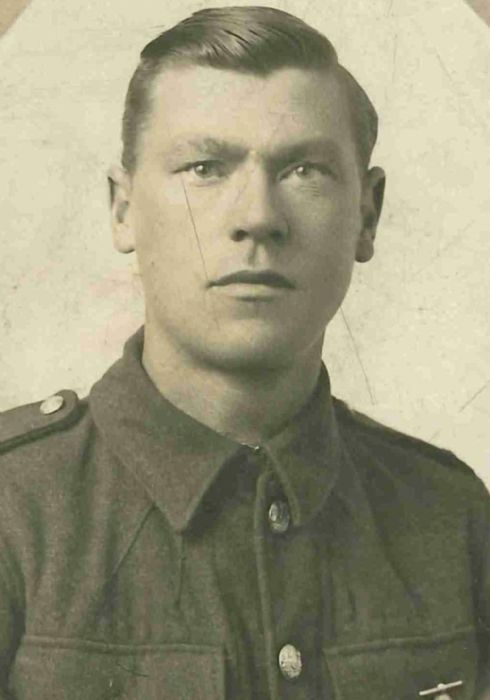 Private Peter Jardine of Royal Army Service Corps re-joined his father Thomas in their plumbing and ironmongery business in High Street. 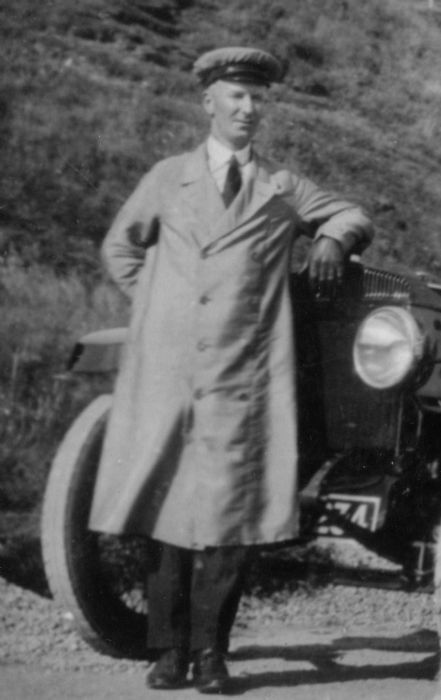 Peter was a driver throughout the war and continued his interest in vehicles after his release. By the 1930s he ran a petrol pump and a store at the Old Brewery site. The plumbing business continued under the management of his son Colin. Pioneer Robert Walker of the Royal Engineers had been a chemist's apprentice in Gatehouse. His brother, Albert, was killed during the war, so when Robert returned he was needed to work with his family at the bakery in the High Street in what is now the Bakehouse, a business which lasted until the 1970s. of the Royal Field Artillery was a plumber before the war. Both his brothers were killed by the same shell blast in 1915 in France. A request had been made for Jock's early release but he did not return home until 1919. 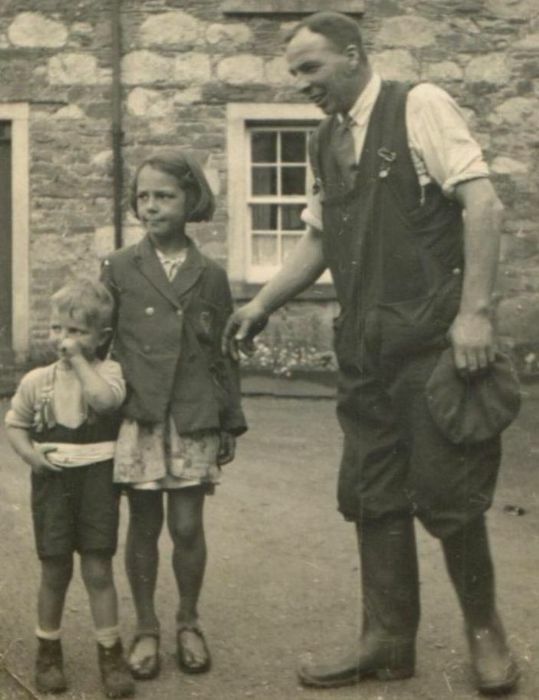 On his return he was employed laying water and sewage pipes at Dornock near Gretna but in the early 1930s he became a ‘maintenance man’ at the Cally Hotel and moved his family to live at the old Cally Stables (Cally Square). His son Jack remembers that the guests at the hotel kept their expensive cars in the old stable block and as a wee lad, he would sometimes be allowed to sit in them while they were being cleaned. In 1939 the Cally was taken over by Glasgow Corporation as a boarding school for Glasgow evacuees. Jock Nelson was a popular figure, keeping the school warm. Those managing the school tried to be as self-sufficient as possible and another of Jock’s duties was to look after the pigs behind the Cally Square. The Nelson family always had some ham when a pig was slaughtered for the school kitchen. A treat for some of the pupils was to be invited to the Nelson home for tea on a Saturday. Sgt. James Hunter of Royal Defence Corps returned to work as Clerk of Works on the Cally Estate before setting up his own joinery business in the early 1920s. He and his wife Elizabeth shared the role of Registrar for Births, Marriages & Deaths for Anwoth during the 1930s. Douglas, John, Robert and William Austin all served in the war. After the war the boys returned to run family farms at Boreland of Girthon, and Ingleston (near Twynholm), as well as other farms in the area. 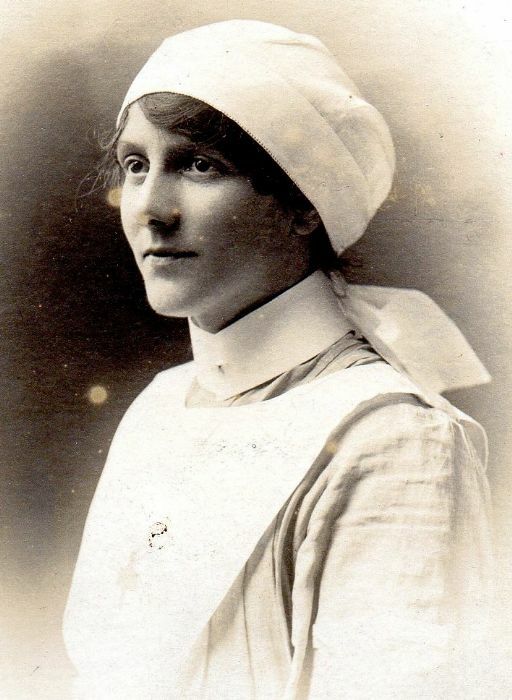 Their sister Effie also worked as a nurse during the war. 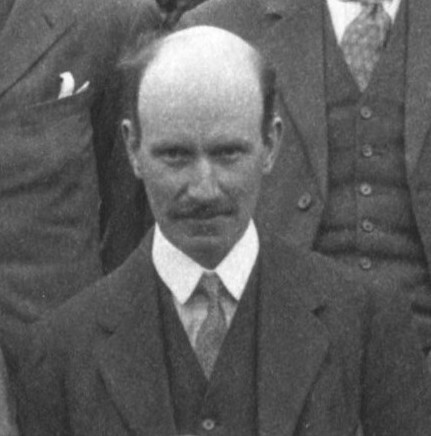 of the KOSB returned in 1919 to his post as headmaster of Fleetside Public School (in Anwoth parish), having been away on war duty for 5 years. 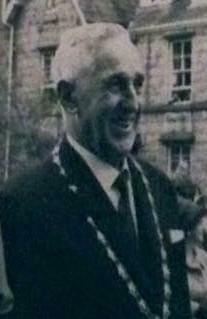 A year later he moved to be head of Kirkmabreck School, Creetown where he remained until his retirement in 1943. Christopher, George, James (known as Nick) and William. Their father William was postmaster and ran mail coaches from the Murray Arms Stables. 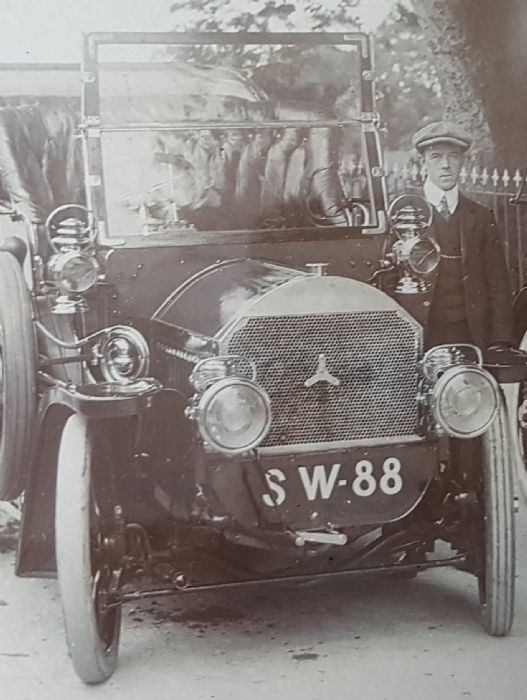 The war had caused considerable problems for William senior with his sons, mechanics and drivers away at war. In 1917 he applied for his son George to be exempt from service but was told by the authorities to make use of his youngest son Nick, who at that time was too young to drive. Nick later enlisted in the army in July 1918. 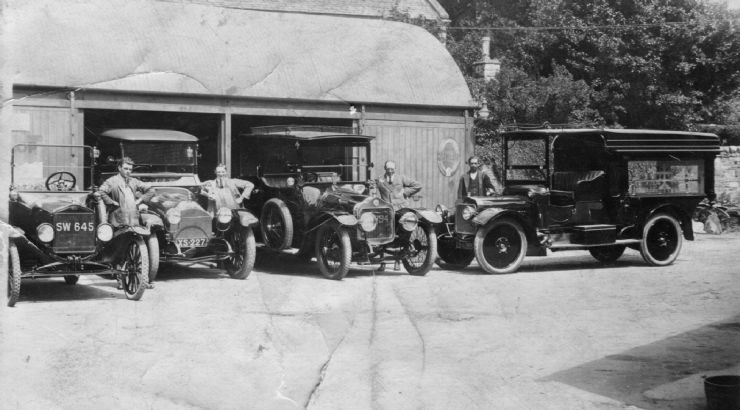 After the war the Crosbies returned to the garage business. 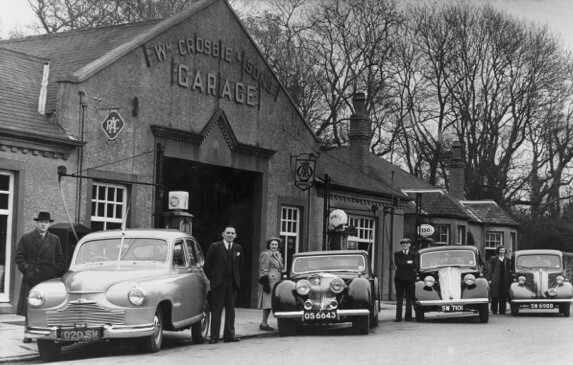 In 1923 they erected a petrol pump at the Old Stables and in 1935 they opened the garage across the road from the War Memorial in Gatehouse. They also built a garage and bungalow at Creebridge, in Minnigaff, Newton Stewart. Prior to the outbreak of war brothers George and Wellwood had purchased 8/10 High Street, an ironmongers which also took on watch-making and jewellery business. Older brother George, who was nearly 40 when war broke out, was left in charge of the shop, but Wellwood and John (aka Jack) worked there on their return home. Apart from the usual ironmongery business, the shop kept a petrol pump which was outside on the pavement. They also sold postcards for the growing tourist trade - some probably taken by their youngest brother William, but some also taken by George. 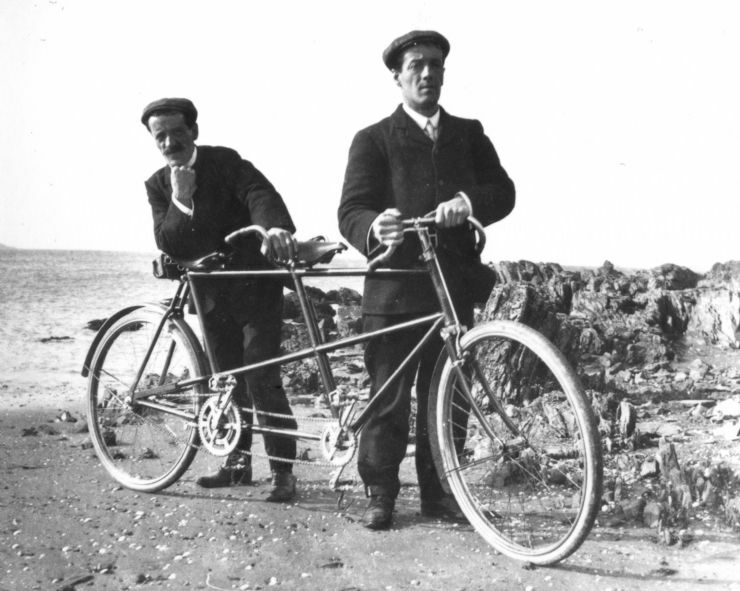 The shop sold Raleigh bicycles and motor cycles and carried out repairs – this was Wellwood's expertise. You could even get your eyes tested there. 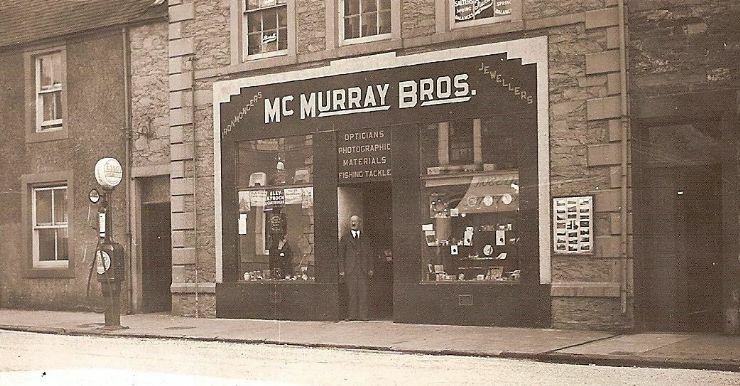 The McMurray shop remained in the family until 1958. 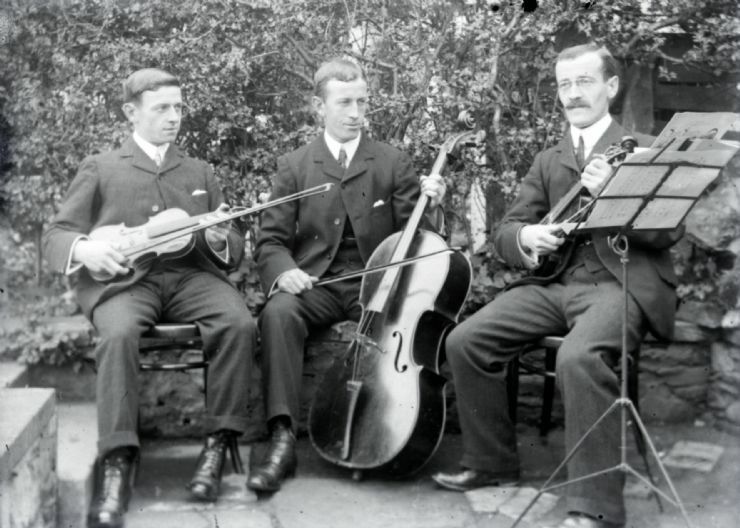 The McMurray family were very musical and they formed a band which played at Gatehouse dances and concerts in the 1920s and 1930s. The tragic story of the Davidson family is well known in Gatehouse. In 1917 four Davidson brothers were killed in action (James, Nelson, Peter and Robert). Their father James had already suffered the death of his wife Jessie and daughter Clara prior to the outbreak of war. The sole surviving son, Private Wilfred Davidson of the Royal Scots was eventually transferred to non-active service on compassionate grounds in early 1918. Wilfred, known locally as Wellie, married Creetown girl Isabella Christie in 1917 and the next year the couple bought 30 Fleet Street in Gatehouse - a house which stayed in the Davidson family until recently. He was a mason by trade. For many years he worked for local builders - the McGaws. 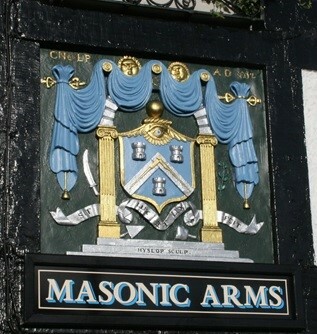 In the 1960s his son Drew died, and Wilfred took over Drew’s tenancy of the Masonic Arms in Ann Street. He took a keen interest in Gatehouse affairs and was co-opted onto the Town Council in 1941. After serving on several committees, he was elected Town Provost in 1962. One of the highlights of his tenure was being presented to the Duke of Edinburgh at Kirkcudbright in 1965. It was a disappointment for him that he did not meet the Queen because she was ill that day. Wellie died in 1966. Some Gatehouse men made careers elsewhere. was from Ornockenoch where his parents William and Ellen worked as gardener and cook to Col. and Mrs Stewart. Like many men, he was taught to drive while in the army. After the war he moved to Glasgow where he worked as a chauffeur. William Learmonth came to Gatehouse in 1894 as the headmaster of Girthon Parish School. He had a reputation as a very strict teacher but under his guidance his 2 sons and several other Gatehouse pupils did very well in later life. William’s eldest son James Learmonth was born at Fleetview, 31 Fleet Street in 1895. James was educated at Girthon parish school before being sent to Kilmarnock Academy to finish his schooling. He studied medicine at Glasgow University in 1913, but as soon as war broke out he left his studies and joined the 8th Battalion of K.O.S.B. Captain James Learmonth served on the Western Front and became an expert on gas warfare and helped develop masks and treatments to combat the effects of gas. 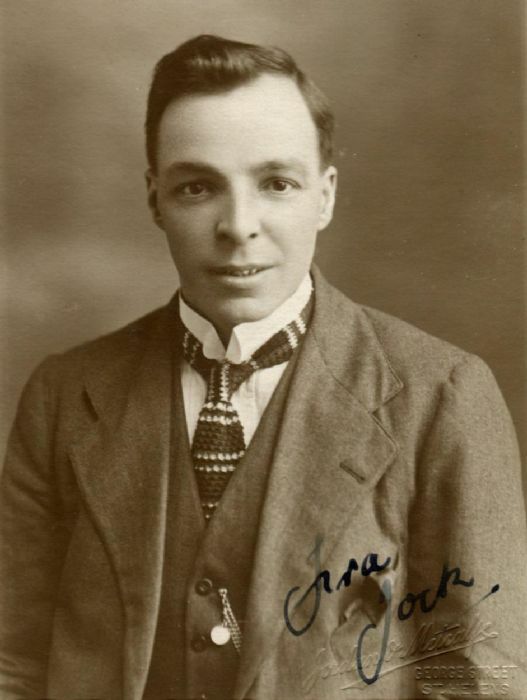 After the war he returned to Glasgow University and graduated as a doctor in 1921. He was an outstanding student, winning the Brunton Medal, which is awarded to the most distinguished student in their final year. He had a varied life as a doctor and surgeon. He worked for a time in the USA at the Mayo Institute in Minnesota where he met his American wife Charlotte. 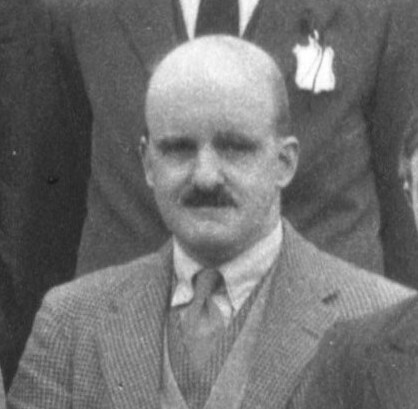 He also worked at Aberdeen and Edinburgh Universities and received many awards during his lifetime including a CBE in 1945. He became an expert in the field of nerve surgery and in 1949 he operated on King George VI. He was knighted by the King - the ceremony taking place in the King's bedroom. 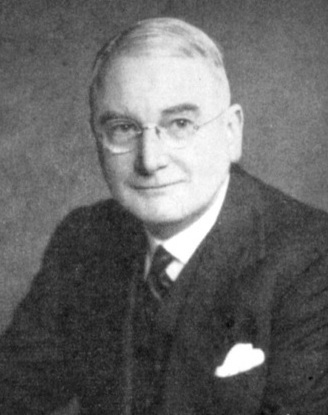 Sir James Learmonth died in 1967 in Peeblesshire. 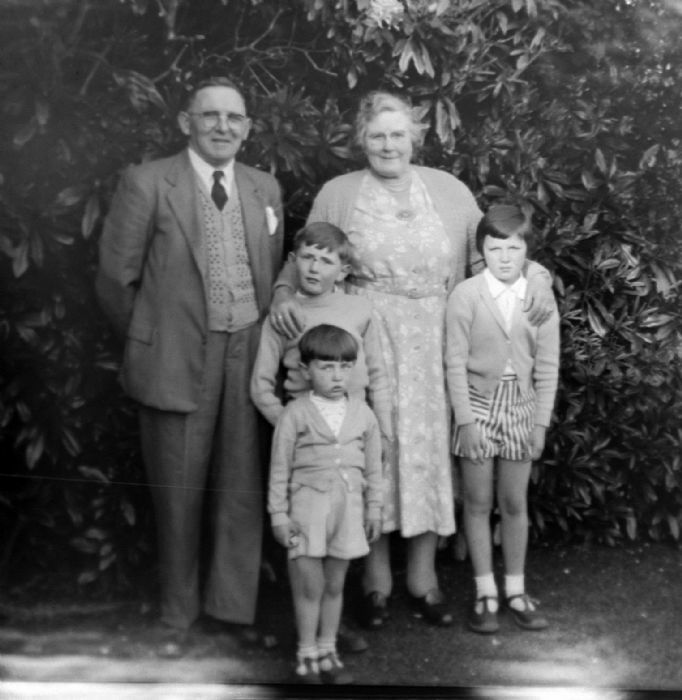 William Learmonth’s second son Catherwood Craig Learmonth was born in 1896. 2nd Ltn. 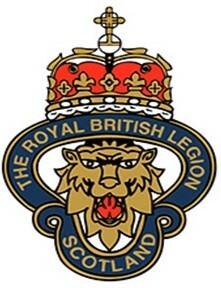 Learmonth served first with the Royal Army Medical Corps before transferring to the 3rd Battalion Royal Scots Fusiliers. He served on the Eastern Front. He also did well in later life. He chose a career in the law. In 1943 he became a Fellow of the Royal Society of Edinburgh and was the Law Agent to the Merchants of the City of Edinburgh. He died in 1981. Brothers James and Hugh McMichael also had careers which took them away from Gatehouse. 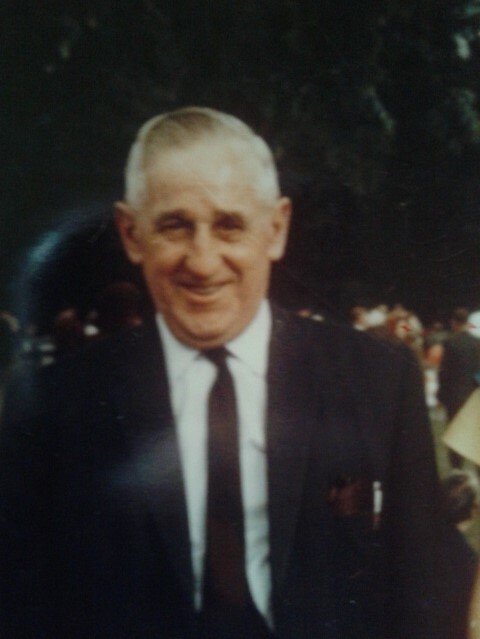 Their father James, snr. was a butcher with a shop and house in the High Street (now the Bobbin Guest House). 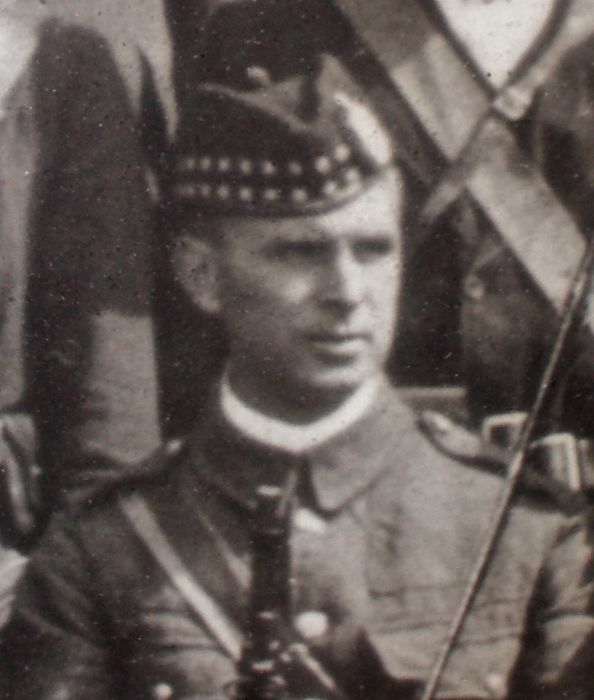 James Clement McMichael (known as Clem to distinguish him from his father) had attended Glasgow High School and was mobilised in 1914 with the Queen's Own Glasgow Yeomanry. In 1917 he transferred to the Royal Flying Corps. After the war, he lived with his second wife Maud in Antigua where he managed a sugar refinery. In 1953 he was awarded an OBE for public service on the island. He died there in 1954. 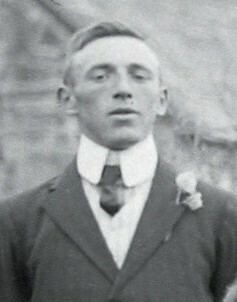 Clem's younger brother Hugh McMichael joined the Mercantile Marine service aged 16 in 1916 as an apprentice seaman. 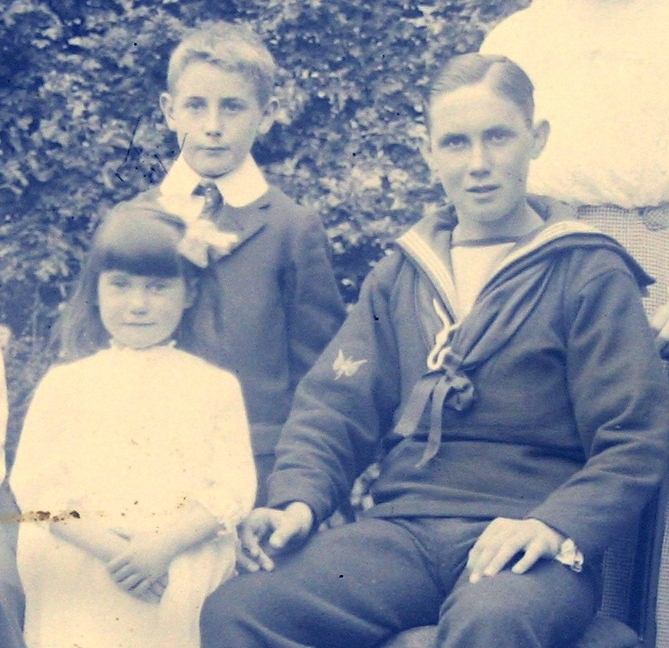 After the war he chose to remain in the merchant navy and gradually worked through the ranks. 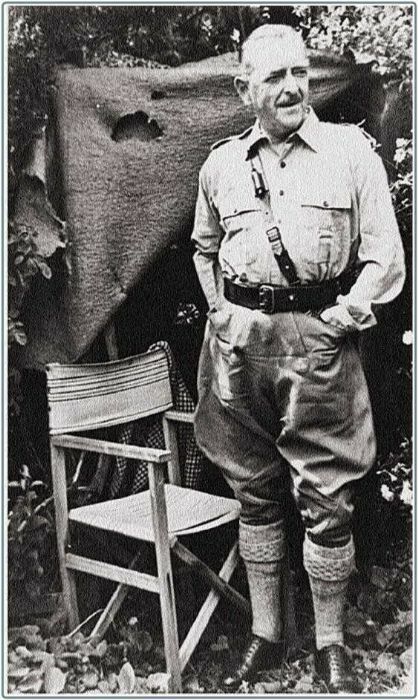 When the Second World War broke out, he was Captain of the 'British Influence' a tanker travelling from Persia to Hull, unescorted. Off the south west of Ireland they were stopped by a U-boat firing across the bows and ordered to abandon ship. It was reported in the local newspaper that the U-boat captain ordered the lifeboats to be lowered, checked the men had sufficient supplies of food, tobacco and clothing and sent up flares to attract a Norwegian rescue ship. Once he was sure that those on board the tanker were safe, and three cheers had rung out from both sides, the U-boat submerged and a torpedo was fired at the tanker which sank with no casualties. Hugh was seconded to the Royal Navy where he captained the “Empire Macabe” on Atlantic convoy duties. Hugh lived in the Truro area of Cornwall were he married local girl Katherine Jocelyn Hicks in 1932. They named their house Glendhu - after Hugh's first ship. In June 1954 he was awarded an OBE for his work in the merchant navy. At the time he was Master of mv 'British Sailor' of the British Tanker Co. Ltd. He gave The Queen and Prince Philip a personal tour of his ship. Commander Hugh McMichael died in Truro in 1974. Despite these honours awarded to Clem and Hugh, people in Gatehouse tend to remember their youngest brother John more clearly. John was too young to have been involved in World War I. He trained as a doctor and became a renowned cardiologist, who, in 1965 was knighted by the queen for his services to medicine. 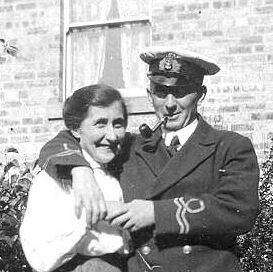 Telegraphist Robert Mitchell (son of the above Lt. R A Mitchell) was in the Royal Navy and came home to work as a postman on the the Anwoth to Skyreburn route. 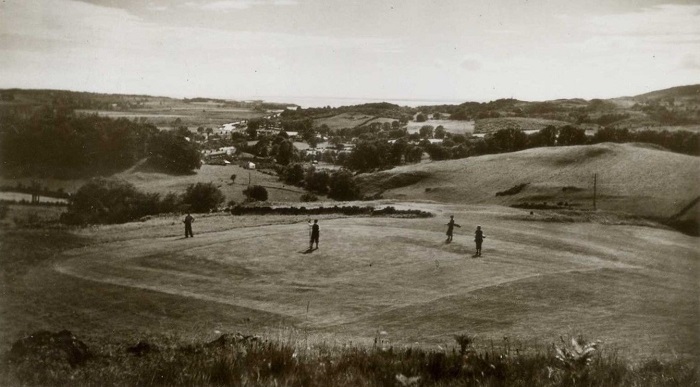 In 1921 he emigrated to Canada - to live with relations and he worked as a pipe fitter. He moved to Massachusetts, in the USA in 1923 and worked up through various jobs until he had a highly regarded job in a Boston bank and became a US citizen in 1943. He was a well-liked man and he and his wife Roberta made many family and friends from Kirkcudbrightshire very welcome at his home in Dedham, which is in the suburbs of Boston – I was one such friend. Others returned to their homes abroad. A number of Gatehouse men had emigrated before the war to countries such as Canada, Australia and New Zealand. When war broke out many enlisted in the local army, thinking that the war would be over very quickly, and it was a good opportunity to visit their families in Scotland. Trooper Norman S. Black, son of a former minister of Anwoth, returned to Canada and by 1925 was farming in Manitoba. His brother, Capt. William McM Black was one of the first Gatehouse men to be killed in 1914. 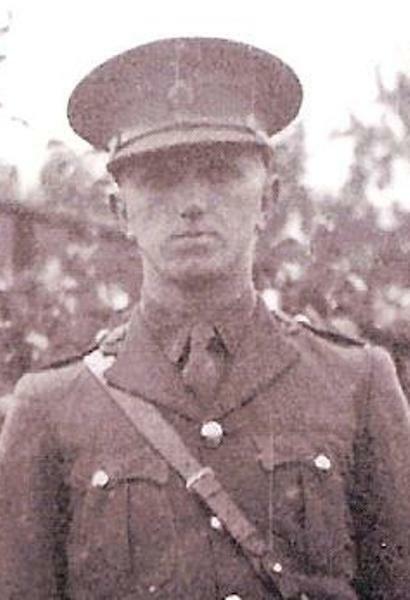 Lt. John G. Cliff-McCulloch returned to New Zealand to the farm he had shared with his brother Walter. Sadly Walter was killed in France in 1916 and he is remembered on the Auckland War Memorial. Although a number of Gatehouse women played their part in the war as nurses, ambulance drivers, factory workers and land girls, as far as I know all of them returned safely. Women had to keep the family and businesses back home, doing all the jobs that men had done before the war. There are very few women that are remembered on war memorials but there is one on the Creetown memorial. 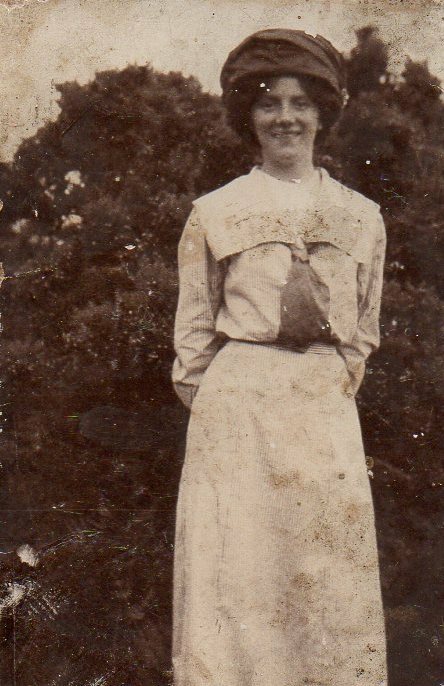 Bessie, as she was known, was a VAD nurse who was killed in September 1917 when the hospital she worked in at St Omer in France was bombed. Bessie was engaged to Sam Henry of Lagg Farm near Gatehouse. Sam, being a farmer, was not sent to war as he was deemed more useful at home and he never married. Clearly the loss of so many male partners also left its mark on the women left behind, as many of them never married or remarried. Some soldiers came home with physical injuries. Private Peter Tait of the Argyll & Sutherland Highlanders lost one of his hands in an explosion in 1917. He returned home to marry his girlfriend Jane and worked as a shepherd at Millmark Farm, Skyreburn where the couple spent most of their married lives. Youngsters in the area were less impressed by his DCM, won in 1916, than by the metal hook which replaced his hand and by the dexterous way he could use it to open gates, play curling and do other tasks. He was affectionately known as The Pirate or Captain Hook. 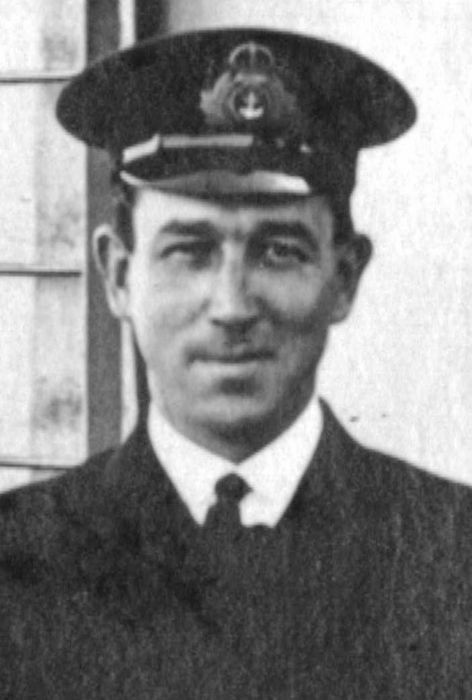 Robert Slimmon Glover was a captain with the KOSB. In civilian life he was a banker and solicitor. He is understood to have suffered a breakdown during the war and been in hospital in Edinburgh for a period of time. He did return to work in Gatehouse and eventually retired from the bank to live at Hamewith in Fleet Street with his wife Caroline, where he died in 1932. The family also owned a chalet at Sandgreen - the Nook which must have been a peaceful retreat for him. Gatehouse – the quiet and peaceful place to recover. Tom Nicol was a commercial traveller from Ayrshire. It is understood that he suffered from shell shock during the war and this continued to affect him in later life. He married Isabella Lauder in 1924 and the couple lived in Gatehouse, feeling that Tom would benefit from living in a quiet peaceful place. In 1938 they bought the sweetie shop at 2 High Street, which they owned for 20 years and even ran a tearoom at the back of the shop. A number of soldiers returning from the war came to live in the Gatehouse area in the late 1920s and 1930s, again probably because they found the quietness and beauty of the area to be calming on the nerves. From amongst these evolved a group of artists who found the landscapes of Kirkcudbrightshire inspirational. Dorothy L. Sayers stayed in Gatehouse, at the Anwoth Hotel in 1931 while writing her book Five Red Herrings about the artist community around Kirkcudbright. 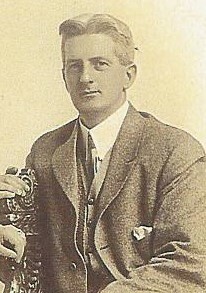 Her husband was Oswald Atherton Fleming (known as Mac), a journalist and photographer who had been badly gassed during the war. who had joined the 9th Royal Scots before transferring to the Royal Highlanders. He received severe injuries to both his hands and it was feared that he would never paint again. 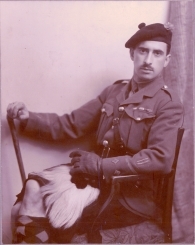 another member of the group, was a Captain in the Royal Scots and although he was seriously injured at Arras in 1917, he later became involved in camouflage work. This group as a whole gained a reputation for heavy drinking and wild parties. A favoured venue was the Anwoth Hotel (Ship Inn) where, despite his hand injuries Hamish Paterson was able to play the piano for singalongs. Perhaps this was their way of coping with stress. Some told stories of heroic efforts. Others had no problems talking about their adventures. Archie McCormack, who worked for Willie & Robbie Walker the bakers, relished telling his war stories about the Somme as did John Fitzpatrick the local carter. Another great story teller was Private Charlie Manson, who fought with the KOSB, Royal Scots and the Machine Gun Corps. He served in India as a regular before World War I. 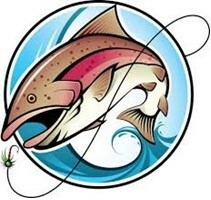 He was a keen fisherman and combined stories of his wartime exploits with many elaborate tales about his catches. Willie Worrall was a Private in the Highland Light Infantry. He was born in 1894 in Preston, Lancashire to a railwayman, Tom Worrall and his wife Janet who was from Gatehouse. His mother died when Willie was only 4, and seems to have come to Gatehouse to live with his grandparents. Willie would relate a story about collecting his food while in France. He was asked how many eggs he wanted (whether this request was in French or English is not known). 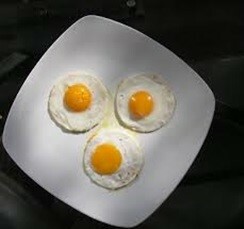 Willie would ask for two but was always given three eggs. He, in his broad Gatehouse accent, had asked for 'twa' eggs which to a foreign ear sounded very like 'trois’ - hence the three eggs. 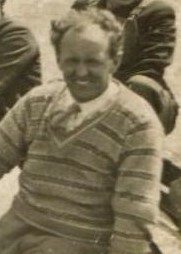 Willie was a popular Gatehouse figure and worked as the green keeper on the golf course for many years. He died in 1975.